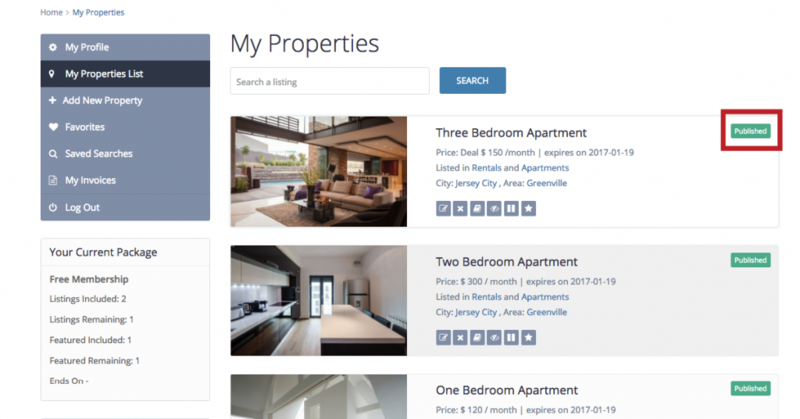 Starting 1.19 in each property you can attach other properties as subunits. 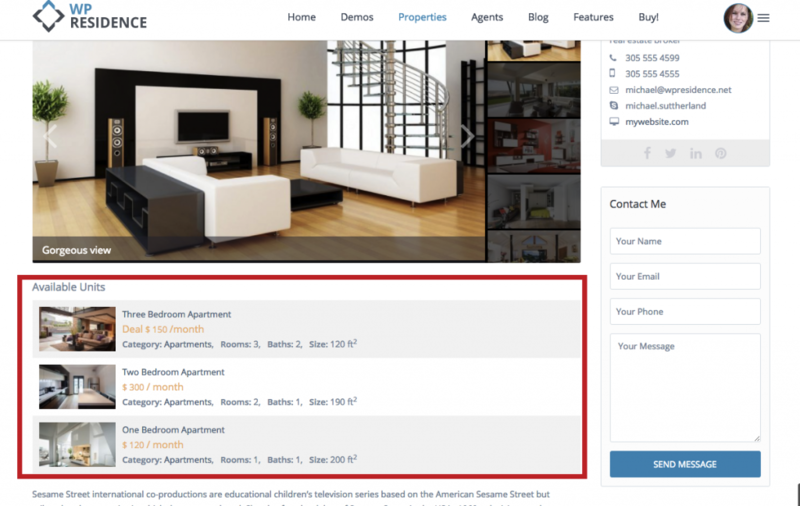 The subunits are also properties so they will show in properties search results. 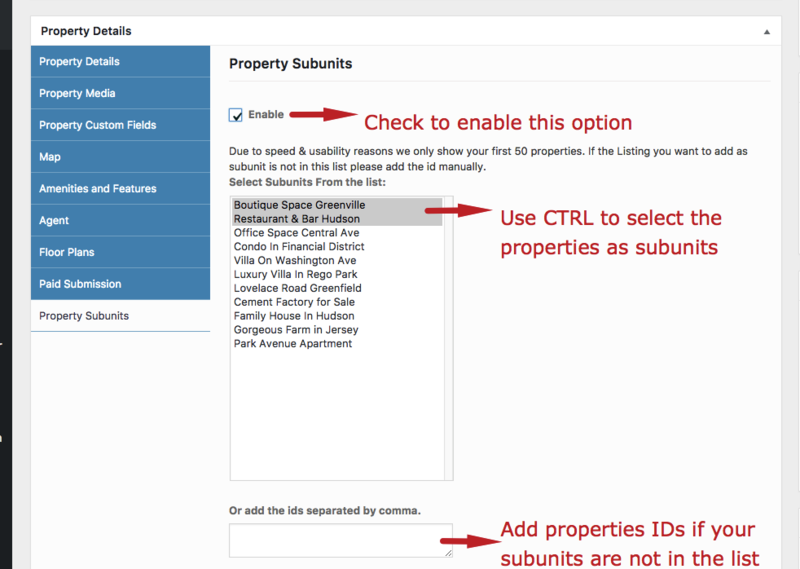 This is the admin view for how to select subunits. This is the front end view to select subunits. 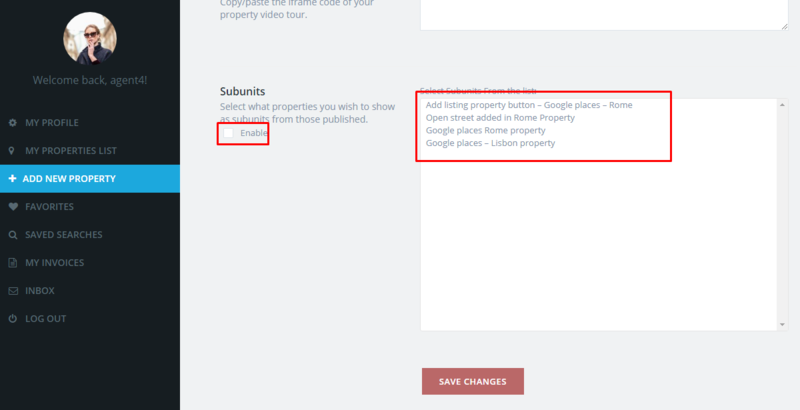 Edit a property and go to Subunits sections. Select which properties to show as subunits and save. 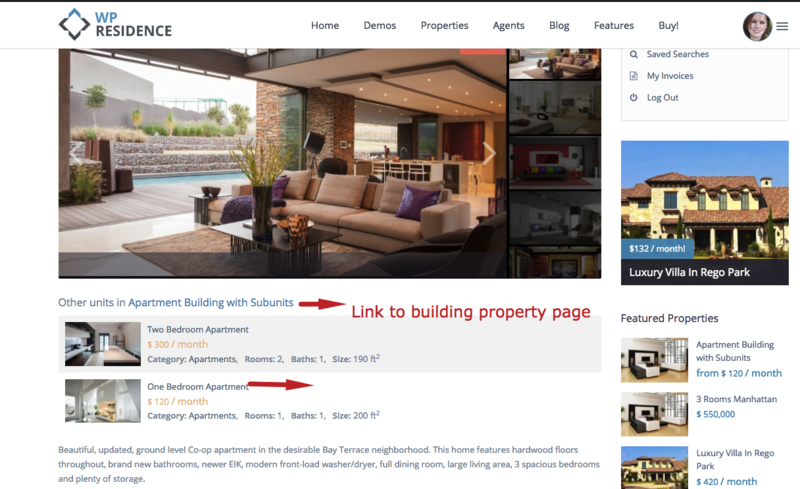 In front end the property set as building with subunits will show all subunits like this.